Jam drops make a perfect lunch box addition, or a great party favour to add extra colour to the party food table! Prepare a baking tray by either greasing the baking tray or placing on a layer of silver foil. In a mixing bowl. place the butter, caster sugar, and vanilla and beat with an electric mixer until creamy and combined. 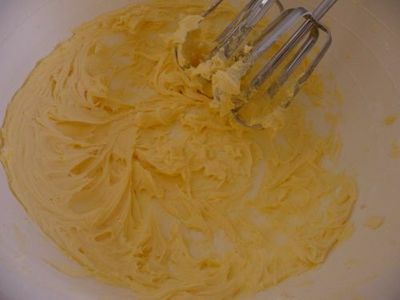 Lightly whisk the egg, then add the egg to the sugar and butter mix and beat well. Beat in the flour and baking powder, then add the milk and stir until just combined. 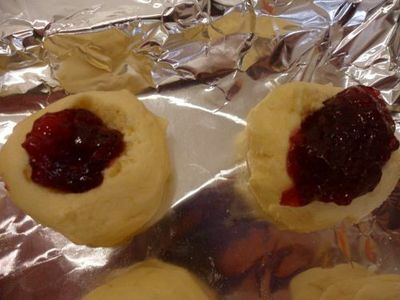 With flour on your hands, take 2 teaspoons worth of biscuit dough and roll these into a ball. 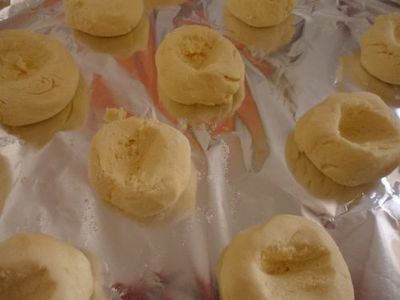 Place each dough ball onto your prepared baking tray and roll the rest of the mixture into similar sized balls (or vary the sizes to make a fun combination of larger and smaller cookies). Leave 2-3 centimetres between each cookie ball to allow for spreading when baked. Flatten each biscuit slightly using teh heel of your hand. 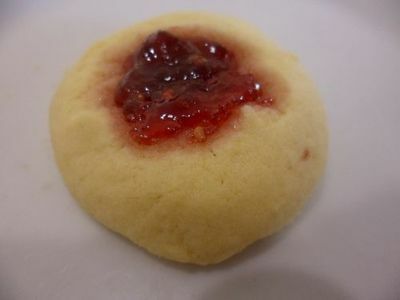 To fill the jam drops, tip the end of a wooden spoon handle into flour, shake off the excess, and twirl the spoon end into the centre of each biscuit. 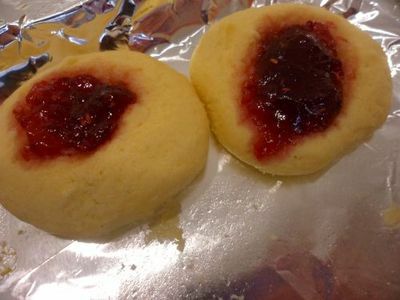 The flour will prevent the spoon from sticking to the dough, while the resulting indentation will be filled with jam to make the biscuits' jammy centres. When making the indentations, make sure to leave the base of the biscuit with enough dough to stay stable when baked, so only twirl the spoon end to halfway or a little more into the biscuit's centre. Spoon about 1/4 teaspoons of raspberry jam into each indentation. Bake for 12-15 minutes, or until each biscuit is lightly golden. Top the raspberry jam centre with a fresh or thawed raspberry and dust with icing sugar to serve, or plate up and devour as is!